This series of six illustrations depict a fresh and unusual take on this much loved artists paradise. The architecture is simplified into bold, brightly coloured graphic shapes and outlined in black giving it the look of a cartoon. 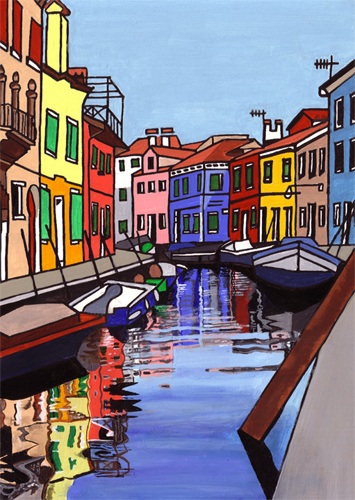 The naive style of the buildings works in contrast with a realistic depiction of the reflections they make in the water of the canals beneath them.